Decorative beveled glass corner details combine with a classical stained glass pattern in this engaging contemporary design. A spectacular central pattern, surrounded by hand cut and mitered glass, combine to create this truly artistic series of glass lites. PLEASE ALLOW 2-3 WEEKS FOR DELIVERY AS THE DOOR IS CUSTOM MADE. 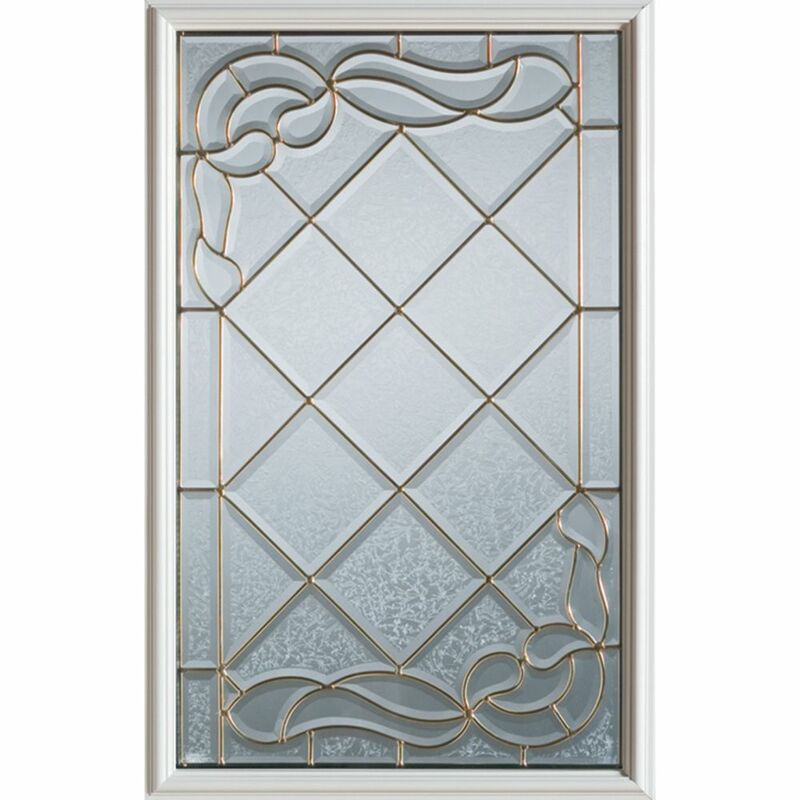 23 inch x 37 inch Queen Anne Brass Caming 1/2 Lite Decorative Glass Insert Decorative beveled glass corner details combine with a classical stained glass pattern in this engaging contemporary design.